Marc Lépine (French pronunciation: ​[maʁk lepin]; born Gamil Rodrigue Liass Gharbi; October 26, 1964 – December 6, 1989) was a Canadian mass murderer from Montreal, Quebec, who in 1989 murdered 14 women, and wounded 10 women and four men[note 1] at the École Polytechnique, an engineering school affiliated with the Université de Montréal, in the École Polytechnique massacre, also known as the "Montreal Massacre". Lépine was born in Montreal, the son of Canadian nurse Monique Lepine, and Algerian businessman Rachid Gharbi. Rachid was abusive and contemptuous of women, and left the relationship when Marc was seven, when Monique returned to nursing to support her children. Lépine and his younger sister lived with other families, seeing their mother on weekends. Lépine was considered bright but withdrawn, and had difficulties with peer and family relationships. He changed his name to Marc Lépine at the age of 14 giving "hatred of his father" as the reason. Lépine's application to the Canadian Forces was rejected, and in 1982 he began a science program at a college, switching to a more technical program after one year. In 1986, he dropped out of the course in his final term, and was subsequently fired from his job at a hospital due to his poor attitude. He began a computer programming course in 1988, and again abandoned it before completion. Lépine twice applied for admission to the École Polytechnique, but lacked two required compulsory courses. Lépine had long complained about women working in "non-traditional" jobs. After several months of planning, including the purchase of a semi-automatic rifle, he entered the École Polytechnique de Montréal on the afternoon of December 6, 1989, separated the men from the women in a classroom, and shot the women, claiming that he was "fighting feminism". He then moved into other parts of the building, targeting only the women, before killing himself. His suicide note blamed feminists for ruining his life. Lépine's actions have been variously ascribed from a psychiatry perspective with diagnoses such as personality disorder, psychosis, or attachment disorder, noting societal factors such as poverty, isolation, powerlessness, and violence in the media. The massacre is regarded by criminologists as an example of a hate crime against women, and by feminists and government officials as misogynist attack and an example of the larger issue of violence against women. December 6th is now observed in Canada as a National Day of Remembrance and Action on Violence Against Women. Marc Lépine was born Gamil Rodrigue Liass Gharbi on October 26, 1964, in Montreal, Quebec, the son of Algerian immigrant Rachid Liass Gharbi and Canadian nurse Monique Lépine. Gamil's sister, Nadia was born in 1967. His father Rachid, who was a mutual funds salesman, was travelling in the Caribbean at the time of his son's birth. During his absence, his mother Monique discovered evidence that her husband had been having an affair. Rachid was a non-practising Muslim, and Monique a former Catholic nun who had rejected organized religion after she left the convent. Their son was baptized a Roman Catholic as an infant, but received no religious instruction during his childhood; his mother described her son as "a confirmed atheist all his life". Instability and violence marked the family: it moved frequently, and much of Lépine's early childhood was spent in Costa Rica and Puerto Rico, where his father was working for a Swiss mutual funds company. The family returned to Montreal permanently in 1968, shortly before a stock market crash led to the loss of much of the family's assets. Rachid was an authoritarian, possessive and jealous man, frequently violent towards his wife and his children. He had contempt for women and believed that they were intended only to serve men. He required his wife to act as his personal secretary, slapping her if she made any errors in typing, and forcing her to retype documents in spite of the cries of their toddler. He was also neglectful and abusive towards his children, particularly his son, and discouraged any tenderness, as he considered it spoiling. In 1970, following an incident in which Rachid struck Gamil so hard that the marks on his face were visible a week later, his mother decided to leave. The legal separation was finalized in 1971, and the divorce in 1976. Following the separation, Gamil lived with his mother and younger sister Nadia; soon after, their home and possessions were seized when Rachid defaulted on mortgage payments. Gamil was afraid of his father, and at first saw him on weekly supervised visits. The visits ended quickly, as Rachid ceased contact with his children soon after the separation. Gamil never again saw his father, and in the future refused to discuss him with others. Rachid stopped making support payments after paying them twice, and to make ends meet, Monique returned to nursing. She subsequently started taking further courses to advance her career. During this time the children lived with other families during the week, seeing their mother only on weekends. Concerned about her children and parenting skills, she sought help for the family from a psychiatrist at St. Justine's Hospital in 1976; the assessment concluded there was nothing wrong with the shy and withdrawn Gamil, but recommended therapy for his sister Nadia, who was challenging her authority. Nadia Gharbi died in 1996 at age 28 from a drug overdose. After the divorce became final in 1976, the children, then aged 12 and 9, returned to live with their mother, who was director of nursing at a Montreal hospital. In 1977, the family moved to a house purchased in the middle-class Montreal suburb of Pierrefonds. Gamil Gharbi attended junior high and high school, where he was described as a quiet student who obtained average to above average marks. He developed a close friendship with another boy, but he did not fit in with other students. Taunted as an Arab because of his name, at the age of 14 he legally changed it to "Marc Lépine", citing his hatred of his father as the reason for taking his mother's surname. Lépine was uncommunicative and showed little emotion. He suffered from low self-esteem, exacerbated by his chronic acne. Family relations remained difficult; his younger sister Nadia publicly humiliated him about his acne and his lack of girlfriends. He fantasized about her death, and on one occasion made a mock grave for her. He was overjoyed when in 1981 she was placed in a group home because of her delinquent behaviour and drug abuse. Seeking a good male role model for Lépine, his mother arranged for a Big Brother. For two years, the experience proved positive as Lépine, often with his best friend, enjoyed the time with photography and moto-cross motorcycles. However, in 1979 the meetings ceased abruptly when the Big Brother was detained on suspicion of molesting young boys. Both Lépine and his Big Brother denied that any molestation had occurred. Lépine owned an air rifle as a teenager, which he used to shoot pigeons near his home with his friend. They also enjoyed designing and building electronic gadgets. He developed an interest in World War II and an admiration of Adolf Hitler, and enjoyed action and horror movies. Lépine also took considerable responsibility at home, including cleaning and doing repairs while his mother worked. Lépine applied to join the Canadian Forces as an officer cadet in September 1981 at the age of 17, but was rejected during the interview process. He later told his friend it was because of difficulties accepting authority, and in his suicide letter, noted that he had been found to be "anti-social". An official statement from the military after the massacre stated that he had been "interviewed, assessed and determined to be unsuitable". In 1982 at the age of 18, the family moved to Saint-Laurent, closer to his mother's work and to Lépine's new Cégep. He lost contact with his school friend soon after the move. This period marks the beginning of the seven years which he described in his suicide note as having "brought [him] no joy". In August 1982, Lépine began a two-year pre-university course in pure sciences at Cégep de Saint-Laurent, failing two courses in the first semester but improving his grades considerably in the second semester. He worked part-time at a local hospital where his mother was director of nursing, serving food and doing custodial work. He was seen as nervous, hyperactive, and immature by his colleagues. He developed an attraction to another employee, but he was too shy to act on his feelings. After a year at college, he switched from the university-destined science program into electronics technology, a three-year technical program geared more towards immediate employment. His teachers remembered him as being a model student, quiet, hardworking and generally doing well in his classes, particularly those related to electrotechnology. There was an unexplained drop in his marks in the fall 1985 term, and in February 1986, during the last term of the program, he suddenly and without explanation stopped attending classes, as a result failing to complete his diploma. He moved out of his mother's home into his own apartment, and in 1986 he applied to study engineering at École Polytechnique de Montréal. He was admitted on the condition that he complete two compulsory courses, including one in solution chemistry. In 1987, Lépine was fired from his job at the hospital for aggressive behaviour, as well as disrespect of superiors, and carelessness in his work. He was enraged at his dismissal, and at the time described a plan to commit a murderous rampage and then commit suicide. His friends noted that he was unpredictable, flying into rages when frustrated. In the fall of 1987, in order to complete his college diploma, Lépine took three courses, obtaining good marks in all of them, and in February 1988, began a course in computer programming at a private college in downtown Montreal, funding his studies with government student loans. He moved into a downtown apartment with his old high school friend, and in the winter of 1989 took a CEGEP night-course in solution chemistry, a prerequisite course for the École Polytechnique. Lépine wanted a girlfriend, but was generally ill at ease around women. He tended to boss women around and show off his knowledge in front of them. He spoke out to men about his dislike of feminists, career women and women in traditionally male occupations, such as the police force, stating that women should remain in the home, caring for their families. Lépine applied again to the École Polytechnique in 1989; however his application was rejected as he lacked required courses. 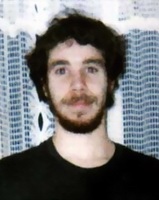 In March 1989 he abandoned the course in computer programming, though he performed well in the CEGEP course, obtaining 100% in his final exam. In April 1989 he met with a university admissions officer, and complained about how women were taking over the job market from men. The massacre appeared to have been planned for several months. In August 1989, Lépine picked up an application for a firearms-acquisition certificate, and in mid-October, he received his permit. On November 21, 1989, Lépine purchased a Ruger Mini-14 semi-automatic rifle at a local sporting goods store. Between October and December 1989, Lépine was seen at least seven times at the École Polytechnique. Four days before the shooting, he brought his mother a present, though it was several weeks before her birthday; he also brought a note and two bags of belongings, which she did not discover until long after the shooting. Lépine had previously always been very punctual paying his rent, but had not done so in December 1989. On December 6, 1989, Lépine walked into the École Polytechnique de Montréal. There, he entered a second-floor classroom where he separated the men and women and then ordered the approximately 50 men to leave. Claiming that he was fighting feminism, he shot the nine women who remained, killing six and injuring the rest. After this, Lépine moved to other areas of the building, including the cafeteria, corridors and another classroom. A total of 14 women (12 engineering students, one nursing student, and one university employee) were killed, and four men and ten women injured before Lépine turned the gun on himself. The event was later described as a "pseudo-community" type of "pseudo-commando" murder-suicide, in which the perpetrator targets a specific group, usually in a public place and intending to die in "a blaze of glory". A three-page letter was found in the pocket of his jacket. The letter was never officially made public, but was leaked in November 1990 to Francine Pelletier, and published in the newspaper La Presse. In his suicide letter, Lépine claimed political motives, blaming feminists for ruining his life. He considered himself rational and expressed admiration for Denis Lortie, who had mounted an attack on the Quebec National Assembly in 1984 for political reasons, killing three Quebec government employees. The letter also contained a list of nineteen Quebec women whom Lépine apparently wished to kill because of their feminism. Another letter, written to a friend, promised the explanation to the massacre lay by following clues left in Lépine's apartment. The hunt led only to a suitcase of computer games and hardware. Marc Lépine was buried in the Cimetière Notre-Dame-des-Neiges in Montreal, a few blocks from where he committed the massacre. A police psychiatrist who interviewed Lépine's family and entourage, and who had access to his letters, suggested that he may have had a serious personality disorder, as he chose the multiple homicide/suicide strategy (killing oneself after killing others) that is a characteristic of this disorder. The psychiatrist noted "extreme narcissistic vulnerability" as shown by fantasies of power and success combined with high levels of self-criticism and difficulties dealing with rejection and failure. Feelings of powerlessness and incompetence were compensated for by a violent and grandiose imaginary life. Other psychiatrists suggested that Lépine was psychotic, having lost touch with reality as he tried to erase the memories of a brutal (and absent) father, while at the same time unconsciously identifying with a violent manhood that dominates women. Other theories were that Lépine's experiences of abuse as a child had caused brain-damage or led him to feel victimized as he faced losses and rejections in his later life. His mother speculated that Lépine may have suffered from attachment disorder, due to the abuse and sense of abandonment he had experienced in his childhood. She also wondered whether Lépine viewed her as a feminist, and that the massacre might have been an unconscious attempt to get revenge for her neglect while she pursued her career, and for his sister's taunts. Others take a less individualistic approach. Many feminists and governmental officials view it as an illustration of misogynist violence committed against women. Criminologists consider the massacre as an example of a hate or bias crime against women. A few antifeminists seek to rehabilitate Lépine as hero of the anti-feminist cause. Others wondered if Lépine's actions were the result of societal changes that had led to increased poverty, powerlessness, individual isolation or increased violence in the media and in society. The following is a translation of the suicide letter written by Lépine on the day of the shooting. The original letter in French is also available. Forgive the mistakes, I had 15 minutes to write this. See also Annex. Would you note that if I commit suicide today 89-12-06 it is not for economic reasons (for I have waited until I exhausted all my financial means, even refusing jobs) but for political reasons. Because I have decided to send the feminists, who have always ruined my life, to their Maker. For seven years life has brought me no joy and being totally blasé, I have decided to put an end to those viragos. I tried in my youth to enter the Forces as an officer cadet, which would have allowed me possibly to get into the arsenal and precede Lortie in a raid. They refused me because asocial [sic]. I therefore had to wait until this day to execute my plans. In between, I continued my studies in a haphazard way for they never really interested me, knowing in advance my fate. Which did not prevent me from obtaining very good marks despite my theory of not handing in work and the lack of studying before exams. Even if the Mad Killer epithet will be attributed to me by the media, I consider myself a rational erudite that only the arrival of the Grim Reaper has forced to take extreme acts. For why persevere to exist if it is only to please the government. Being rather backward-looking by nature (except for science), the feminists have always enraged me. They want to keep the advantages of women (e.g. cheaper insurance, extended maternity leave preceded by a preventative leave, etc.) while seizing for themselves those of men. Thus it is an obvious truth that if the Olympic Games removed the Men-Women distinction, there would be Women only in the graceful events. So the feminists are not fighting to remove that barrier. They are so opportunistic they [do not] neglect to profit from the knowledge accumulated by men through the ages. They always try to misrepresent them every time they can. Thus, the other day, I heard they were honoring the Canadian men and women who fought at the frontline during the world wars. How can you explain [that since] women were not authorized to go to the frontline??? Will we hear of Caesar's female legions and female galley slaves who of course took up 50% of the ranks of history, though they never existed. A real Casus Belli. Sorry for this too brief letter. Nearly died today. The lack of time (because I started too late) has allowed these radical feminists to survive. Canadians mark the day of the killings with a National Day of Remembrance and Action on Violence Against Women. In 2008, Lépine's mother Monique published Aftermath, a memoir of her own journey through the grief and pain of the incident. She had stayed silent until 2006, when she decided to speak out for the first time in the wake of that year's Dawson College shooting. Lépine's life and death was dramatized by Adam Kelly in his controversial play The Anorak. Lépine was portrayed by Maxim Gaudette in the 2009 film Polytechnique, although the film never refers to Lépine by name. Gaudette won a Genie Award for Best Supporting Actor for his portrayal of Lépine. ^ Note: Many sources state 13 were wounded, but the Coroner's report and the police officer responsible for the investigation state that 14 were wounded. ^ a b c d e f g h i Sourour, Teresa K. (1991). "Report of Coroner's Investigation" (PDF). Retrieved December 28, 2006. ^ a b c d e f g h i j k l Weston, Greg; Aubry, Jack (February 7, 1990). "The making of a massacre: The Marc Lepine story Part I". The Ottawa Citizen. ^ a b Staff and Canadian Press (December 11, 1989). "Thousands of mourners wait in silence to pay final respects to slain women". quoted in "The Montreal Massacre: A Story of Membership Categorization Analysis" Eglin, P. and Hester, S (2003). Globe and Mail. ^ Came, Barry; Burke, D; Ferzoco, G.; O'Farreli, B; Wallace, B (December 18, 1989). "Montreal Massacre: Railing Against Feminists". Maclean's Magazine. Archived from the original on December 29, 2006. Retrieved January 4, 2007. ^ a b c CTV.ca News Staff (September 25, 2006). "Mother of Marc Lepine finally breaks her silence". CTV. Archived from the original on March 18, 2007. Retrieved January 1, 2007. ^ a b c d McDonnell, Rod; Thompson, Elizabeth; McIntosh, Andrew; Marsden, William (December 9, 1989). "Killer's father beat him as a child; A brutal man who didn't seem to have any control of his emotions". The Gazette, Montreal. ^ a b c Malarek, Victor (December 9, 1989). "Killer Fraternized with Men in Army Fatigues". quoted in "The Montreal Massacre: A Story of Membership Categorization Analysis" Eglin, P. and Hester, S (2003). Globe and Mail. Retrieved January 2, 2007. ^ a b c d e f g h i Weston, Greg; Aubry, Jack (February 8, 1990). "The making of a massacre: The Marc Lepine story Part II". The Ottawa Citizen. ^ a b Colpron, Suzanne (December 9, 1989). "Marc Lépine était un premier de classe". La Presse. Archived from the original on September 29, 2007. Retrieved January 6, 2007. ^ a b Roux, Martine (December 18, 1999). "Pour comprendre Marc Lépine" (in French). La Presse. ^ Norris, Alexander (January 16, 1990). "Lepine was emotionally repressed, pal says". The Gazette, Montreal. ^ "Gunman massacres 14 women". Archives. CBC. December 6, 1989. Archived from the original (video stream) on June 4, 2011. Retrieved December 29, 2006. ^ Byard, Roger W. (c. 2000). "Murder-Suicide". In Tsokos, Michael (ed.). Forensic Pathology Reviews. 3. Humana Press. p. 343. ISBN 978-1-58829-416-6. ^ Pelchat, Martin (November 24, 1990). "Lépine avait des motifs "politiques"" (in French). La Presse. ^ "A Difficult Story to Tell". The Story of the fifth estate. CBC News. Archived from the original on June 3, 2007. Retrieved December 28, 2006. ^ CBC News (May 16, 2007). "Workers locked out at famous Montreal cemetery". CBC. Archived from the original on May 18, 2007. Retrieved May 21, 2007. ^ Scott, Marian (May 15, 1990). "Coroner's report on massacre criticizes police and response". Vancouver Sun. pp. A 1. ^ Lortie, Marie-Claude (December 1, 1990). "Poly un an après : Psychose? Blessures au cerveau? Les spécialistes n'ont pas encore résolu l'énigme Marc Lépine". La Presse. ^ Young, Katherine K.; Nathanson, Paul (2006). Legalizing misandry: from public shame to systematic discrimination against men. Montreal: McGill-Queen's University Press. pp. 59–61. ISBN 0-7735-2862-8. ^ Brickman, Julie (1996). "Female lives, Feminist deaths". In Curry, Renée R.; Allison, Terry L. (eds.). States of rage: emotional eruption, violence, and social change. New York: New York University Press. ISBN 0-8147-1530-3. ^ Peter Eglin; Stephen Hester (2003). The Montreal Massacre: A Story of Membership Categorization Analysis. Waterloo, ON: Wilfrid Laurier University Press. ISBN 0-88920-422-5. ^ Gerstenfeld, Phyllis B. (2004). Hate crimes: causes, controls, and controversies. SAGE. pp. 48–49. ISBN 978-0-7619-2814-0. ^ Lawrence, Frederick M. (2002). Punishing Hate: Bias Crimes Under American Law. Harvard University Press. pp. 15–17. ISBN 978-0-674-00972-1. ^ Tremblay, Stephane (March 31, 2010). "Anti-feminist blogger calls himself 'masculinist activist'". Toronto Sun. Archived from the original on January 14, 2017. ^ Zerbisias, Antonia (December 5, 2009). "Broadsides". Toronto Star. Archived from the original on August 26, 2011. Retrieved January 11, 2011. ^ Mélissa Blais (2008). "Marc Lépine: heros ou martyr? Le masculinisme et la tuerie de l'École polytechnique". In Blais, Mélissa; Dupuis-Déri, Francis (eds.). Le mouvement masculiniste au Québec. Les Éditions du remue-ménage. pp. 86–92. ISBN 0-670-06969-8. ^ Debays, Barbara (November 30, 2009). "Tragédie de Polytechnique : Marc Lépine, un tueur transformé en héros". Radio-Canada. Retrieved January 11, 2011. ^ Csanady, Ashley (October 15, 2014). "The bizarre love for Marc Lepine among men's rights groups". Canada.com. Retrieved December 27, 2014. ^ Valpy, Michael (December 11, 1989). "Litany of social ills created Marc Lepine". The Globe and Mail. ^ Wong, Jan (September 16, 2006). "Get under the desk". The Globe and Mail. Retrieved January 20, 2007. ^ Cernea, Adrian (1999). Poly 1989: Témoin de l'horreur. Éditions Lescop. ISBN 2-9804832-8-1. ^ Malette, L. and Chalouh, M. The Montreal Massacre, Gynergy Books, 1991. ^ Note: Original French is "Elles sont tellement opportunistes qu’elles ne négligent pas de profiter". A negative is missing from the published translation. ^ Note: Original French is "Comment expliquer cela alors que les femmes...". The inaccurate published translation was "..explain then that..."
^ "Monique Lépine marks Montreal Massacre anniversary" Archived May 29, 2010, at the Wayback Machine. cbc.ca, December 2, 2009. ^ "Montreal Mirror - NOISEMAKERS 2009 - Arts". Archived from the original on July 14, 2011. Retrieved June 1, 2016. ^ "Polytechnique sweeps Genie Awards". Toronto Star, April 12, 2010. Lépine, Monique; Gagné, Harold (2008). Aftermath. Viking Canada. ISBN 978-0-670-06969-9.